Angelina Jolie on the set of Unbroken. Jolie directed the true story that comes to life this Christmas. 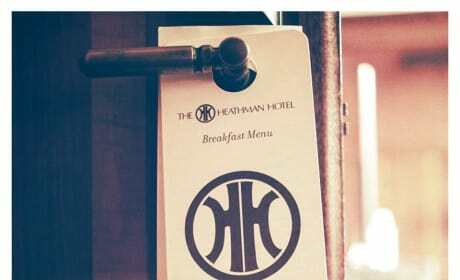 A photo that features Christian Grey's hotel room from Fifty Shades of Grey has landed online. Guess Anastasia and Christian had a good night! The Hundred-Foot Journey director Lasse Hallstrom at work. The film stars Helen Mirren. 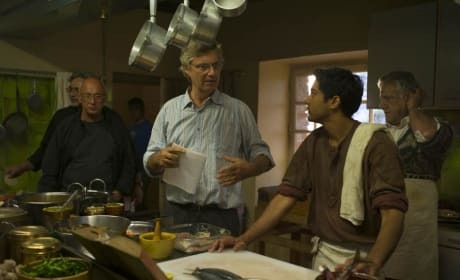 Lasse Hallstrom on the set of The Hundred Foot Journey. 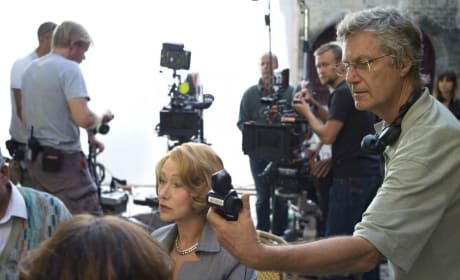 He's directing Dame Helen Mirren. 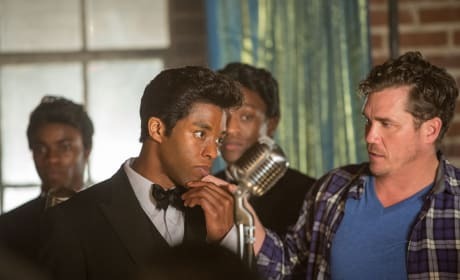 Tate Taylor and Chadwick Boseman on the set of Get On Up. The James Brown story comes to life. 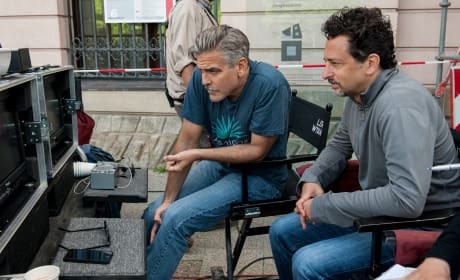 The Monuments Men star George Clooney and his co-writer Grant Heslov. The film stars Matt Damon, Bill Murray and John Goodman. 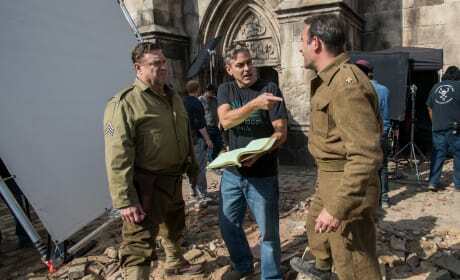 The Monuments Men: George Clooney directs John Goodman. Clooney stars with Matt Damon and Jean Dujardin. 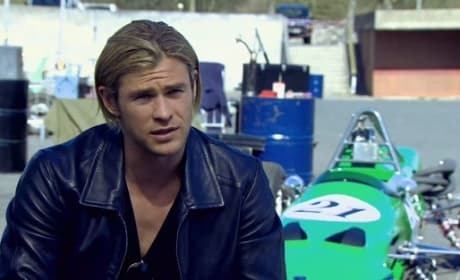 Fifty Shades of Grey author E.L. James posted a photo from the set of her film. Production has started on the Dakota Johnson and James Dornan starring film. 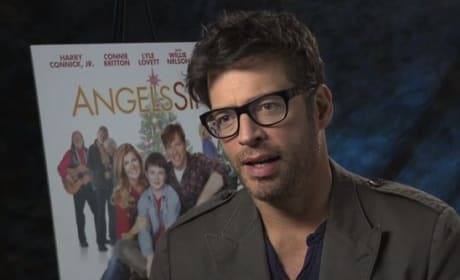 Harry Connick Jr. in an exclusively cilp from Angels Sing. Connect Jr. talks his trouble with Christmas. 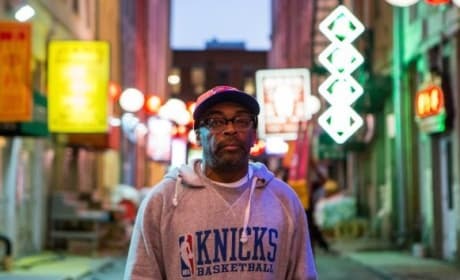 Spike Lee on the set of Oldboy. Oldboy is a reimaginging of the 2003 Korean movie. Benedict Cumberbatch stars in The Fifth Estate. 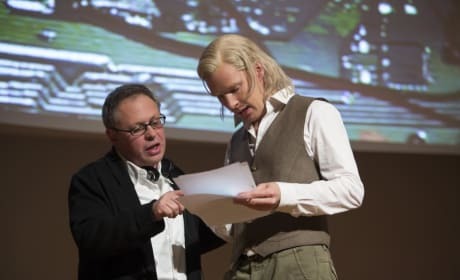 Bill Condon directs him in a pivotal scene from the story of Julian Assange and WikiLeaks.